"GoPro Certified Refurbished. GOPRO CERTIFIED REFURBISHED PROCESS. GoPro Factory. Durable and waterproof to 131’ (40m) with the integrated housing. Integrated Housing. View basket. Built-in Wi-Fi and Bluetooth." Hot. Just saved me £100. Thank you! Don’t confuse this with the 2018 GoPro Hero which is what you would be getting for £100 more. The 2018 is much better and the firmware can be flashed to give you a GoPro Hero 5. This is not that GoPro. What's the point it's now a very dated action camera in performance and there are better models for less. You can get the Apeman Trawo at amazon for £69.99 which does 4k 30fps with image stabilisation or 1440p at 60fps. There appears to be a £20 voucher that takes it down to £69.99 currently, don't know how long that will last. Maybe custom firmwares will come later that offer 1080p at 120fps or 720p at 240fps as the chipset is capable of it. 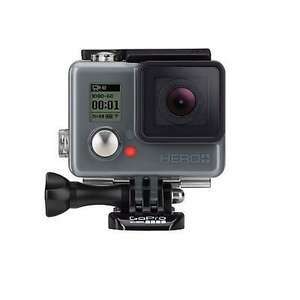 This gopro is £10 more and seems to be limited to 1080p 60fps without image stabilization. Not sure about the stabilization a quick google didn't bring anything up so I'm assuming it hasn't got it. It dates back to 2015 and if these are refurbished the battery runtime could be compromised. Most of the go pro wannabe's are playing catchup so if you buy an old gopro you often find there are better new alternatives for less money. 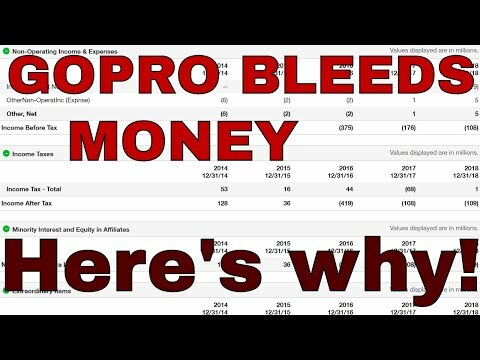 If you want the very best performance you just have to stump up for a current high end gopro model. There are other issues like the fact the gopro has a sealed internal battery too. The Apeman comes with a wide range of accessories including 2 batteries. Also the image stabilization works in all video modes and is quite advanced it's based on a very good chipset. I just don't see the point of this particular gopro in 2019. This is the one release at the same time as the original Hero 4 Session, but it really is just an original Hero 1 + and in many ways isn't as good as the Hero 2. The original Hero 4 Session (later called just Session) can be had for this price and is better (non screen tho) and the newer Hero 5 Session (also later just called Session I think) is much better. This price is ok if you really need a screen and are ok with 1080p 60fps being the max and pretty poor photos. Can get better for this price though. Decent enough, but you can’t change the battery and the battery life on these is shocking. Go for the 2018 mode where you can flash it to the hero 5 and have the ability to carry spare batteries. Don’t confuse this with the 2018 GoPro Hero which is what you would be g …Don’t confuse this with the 2018 GoPro Hero which is what you would be getting for £100 more. The 2018 is much better and the firmware can be flashed to give you a GoPro Hero 5. This is not that GoPro. Have to say that I've not been very impressed by the 2018 GoPro Hero with regards charging. Only camera I've ever had where I can never be sure what the outcome is. Sometimes it charges fine and other times it gets hot and just does not charge. Then have to pull the battery as it locks up. Seems to be a known issue but I was really surprised a premium brand should have such an issue. I bought one of these a few weeks ago and sent it straight back. The menu system is awful. Couldn't read the front screen as it's so dim. I don't know if it was faulty but I couldn't get it to record or take a photo. I got one of these new for £99 from curry’s 12-18months ago just for comparison. Wouldn't recommend. Spend a few more and get the latest model. It's a faff getting casing off and sound it awful. I got the 2018 version when it was discounted, great little camera when flashed with hero 5 software, videos and still images are superb. Agree with battery life though. First use was brilliant, everytime since its run out quicker. I got the 2018 version when it was discounted, great little camera when …I got the 2018 version when it was discounted, great little camera when flashed with hero 5 software, videos and still images are superb. Agree with battery life though. First use was brilliant, everytime since its run out quicker. I'm no gopro expert but I'm assuming the Hero 2018 is absolutely nothing to do with the camera on sale here and no easy hack for this model? Why not go for this instead? It has 4k recording and comes with a watch remote and its only £59.99 with 3000+ reviews @ 4.5*. Its from Amazon, so comes with the usual PoM. Why not go for this instead? It has 4k recording and comes with a watch …Why not go for this instead? It has 4k recording and comes with a watch remote and its only £59.99 with 3000+ reviews @ 4.5*. Its from Amazon, so comes with the usual PoM. I think that is one of the fake 4k camera's that actually records in 1080p25 and then upscales to 4k. That uses a sunplus 6350 chipset which isn't very powerful and quite old. Sadly a huge amount of action camera's out there are interpolating the video resolution. A more common chipset is the allwinner v3 I think which is even worse when it records 1080p60 it is actually recording in 720p60. I think the sunplus though is slightly better and is actually recording in 1080p60 when set to 1080p60 but interpolates 1080p25 to 4k/25 so you are actually better off using the 1080p mode for quality reasons as you get a better frame rate. If you want to upscale the video it is better done on your pc. The camera I linked to does actually film natively in 4k at 30fps and offers image stabilization with it. Technicals is out of my realm of expertise. Thanks for the information i'll hold out for now. It's not like i'm jumping out of any planes on my bike anytime soon. Not waterproof without the case with same looks as many cheaper brands - no thanks Jose! Can these be used for POV shooting in 'adult' situations. I have the Pro version of that. It freezes on startup sometimes and build quality is lacking but it's fine for commuting and general use. The 1080p quality is well below that of the Hero 2018 though. Wouldn't recommend. Spend a few more and get the latest model.It's a faff …Wouldn't recommend. Spend a few more and get the latest model.It's a faff getting casing off and sound it awful. Saw this today and thought it was a good deal. Only 4 left but I believe this camera has a sony sensor and uses a sunplus 6350 chipset that does have image stabilization. A cut above camera's at this price normally. What with the £3 topcashback cashback and bonus nectar points could be good deal bringing it down close to £20 for a high quality full featured 1080p 60fps camera that should perform better than this GoPro HERO+ camera in many areas and does allow use of an external microphone too. This is a premium action camera that I guess is old stock at clearance price. Designed to compete with gopro headon (at the time) and if anything better made and designed. It has a touch screen, full camera control. A professional camera with a lot of manual control if you need it. The image stabilization will be good enough for many tasks but will not compare to that offered on the latest gopro cameras. Hard to think of another camera close to this price with image stabilization and a sony sensor. As there are only 4 I decided against doing it's own thread but thought anyone interested interested in one might be checking out this thread. Does 120 and 240fps in lower resolutions too. Ridiculously cheap for a new premium action camera.